With the year almost over, I always take some time and look back what where the most popular posts of the year in order to see what SharePoint users all over the world are interested in reading. 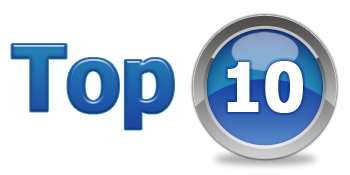 Without further talking, here are the top 10 Blog Posts on my blog on 2014. As for the overall stats on my blog, it has been a very good year with almost 300 000 Pageviews and over 170 000 Unique Visitors! Also, when I compare the stats to last year, I can see that the blog has been a lot more visited, but since I shared a lot more news & quick fixes then last year, some of the stats went down. I hope you all liked my blog posts in 2014 and I am already preparing some for 2015! Don’t forget that in order to see my blog posts the soonest possible, you can follow me on twitter @vladcatrinescu or like the Absolute SharePoint Blog page on Facebook. If you follow on Facebook, the best way to get notified is to go on the page and choose the “Get Notifications” option. This way you will get a notification every time I post a blog post. Don’t worry about receiving too many since I only do one blog post per week, unless it’s really something important, in which case you won’t want to miss it anyway! Have a great Holiday Period and looking forward to see you all in 2015 at Ignite! WARNING: 2014-05-28 16:09:48 – Error: The tool was unable to install Windows Server AppFabric. It took me a while to find the fix, but it was easy! To fix this error, you simply have to make sure that your Windows Update service is not set to disabled! Just set it to Start Automatically and start it, and your prerequisite installer will run with no problems afterwards!